After selecting a rail, choose a cord to hook into the rail and a hook to slide over the cord to the desired height. 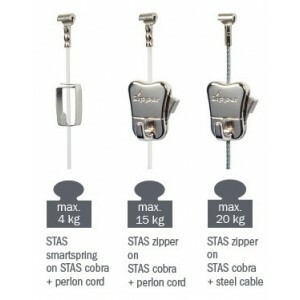 The cords and hooks on this page can be combined with all STAS rail types, with the exception of STAS j-rail, STAS j-rail max and STAS plasterrail. The smartspring, zipper and zipper pro are very easy to adjust. With one hand movement you can hang wall decorations at the right height. After choosing a rail, choose a cord to hook into the rail and a hook to slide over the cord to the desired height. STAS j-rail has its own set of hooks, cords and rods to complete the system. 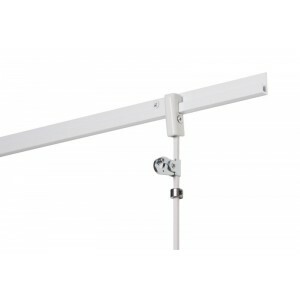 STAS j-rail max only works with rods and matching hooks. You can choose from 3 types of hooks, depending on the weight you want to hang and the theft delaying options you need. STAS plaster rail has its own cords that are specially designed for the specific rail opening. Hanging pictures by means of hook and loop fasteners? Does that work? Yes, it does! 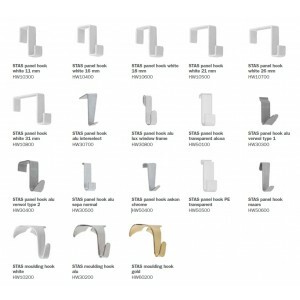 In fact, STAS wall strip is ideal for hanging pictures stably and horizontally, as well as for creating wall collages. 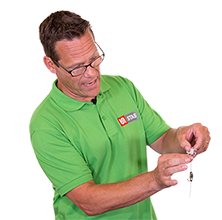 No more hassle with bent paper clips or strings. 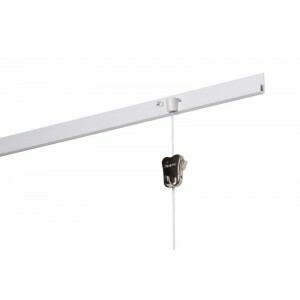 With the white STAS suspended ceiling hooks you can easily hang up teaching materials, craftwork or party decoration on a suspended ceiling. 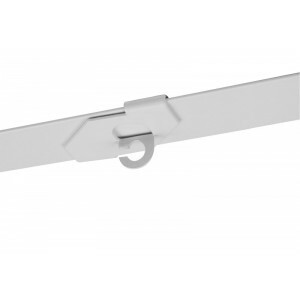 The hook is slid over the intermediate profile of the suspended ceiling. 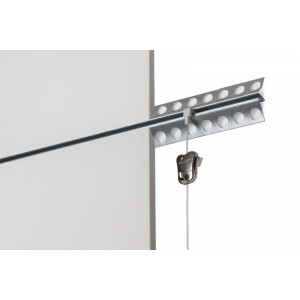 STAS suspended ceiling hooks are available with an eye, with a hook or in two magnetic variants.